Neighborhood markets are charming places to find local characters and unique flavors and knickknacks. Below is a list of markets in BA where you will come across traditional foods, trinkets, craftwork, bargain prices and freaky finds. Feria Modelo de Belgrano: Foodies will enjoy this indoor European style fair which was started in the 50´s in a well preserved 1800´s building and is now the place to go for gourmet products such as Patagonian trout, mushrooms, cheeses, and unique meat cuts like quail or armadillo. Open Mon-Fri from 8am-1pm and 5pm-8.30pm, and Sat from 8am-1pm. Ciudad de la Paz and Juramento. Barrio Chino: Also in Belgrano is the local china town, a popular place amongst locals and foreigners who seek oriental specialties, and unique colors and flavors. Juramento and Arribeños. Mercado de Pulgas in Palermo: The Dorrego Flea Market in Palermo is often overlooked and is the perfect place to go on a treasure hunt. Antiques and curious finds are waiting to be dug up and claimed in this charming neighborhood market. Open Tue-Sun 10am-7pm. Av.Dorrego and Conde. Feria de Artesanos Plaza Francia: If you´re looking for hand woven textiles, wood carvings, artisanal leather goods and other local craftwork the Artisans fair in Plaza Francia, right next to the Recoleta cemetery, is the place to go. Open on weekends and holidays from 11am-8pm. Av. Libertador and Pueyrredon. Feria de Antiguedades de San Telmo: San Telmo is a world known antique center where valuable collectors items are sold, but also, where knick-knacks and unique objects from the immigrants that populated the country can be found. Although the neighborhood is full of antique stores that can be visited during the week, it’s the fair on Sundays that gathers visitors and locals alike. Defensa and Humberto 1. Mercado del Progreso: This food market in the Caballito neighborhood is one of the oldest in the city having opened in 1889. Colorful vegetable stands and butchers that sell meat fresh from the farms are what the market is known for. 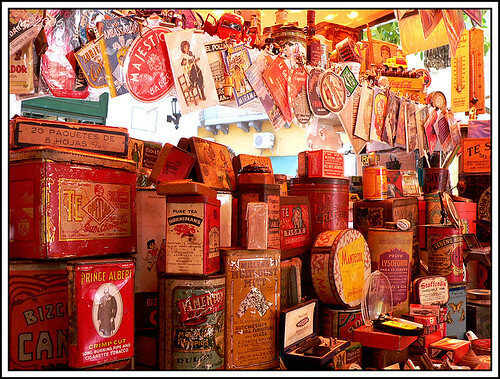 The market is also around the corner of the antique tram, which you can visit on the weekends. Market open on Mon-Sat from 7.30am-1pm, and 5pm-8.30pm. Av. Rivadavia 5430. Feria de Mataderos: The Mataderos fair is held every Sunday and offers regional foods, gaucho accessories, knitwear, and leather bags amongst others. Gaucho traditions, such as the “carrera de sortija” and typical dances from around the country are also carried out on a stage. The fair is on Lisandro de la Torre Avenue, in Mataderos on Sunday. To get there, we suggest you coordinate transport with the hotel, as you will have to go through some dodgy areas to arrive. For organic produce, eco products and a laid back atmosphere head to El Galpón de Chacarita. Wednesday and Saturday 9am to 6pm. Av. Fédérico Lacroze 4171, Chacarita. 4554 9330. Cheap bargains, unusual finds (including odd shaped mannequins) and noisy crowds at the Once shopping district. This entry was posted in Off the Beaten Path and tagged antiques, argentina, artisanal fairs, buenos aires,, cheeses, cold cuts, dances, fresh produce, Gauchos, Gourmet, Markets, neighborhoods, traditions by Fierro Hotel Staff. Bookmark the permalink.